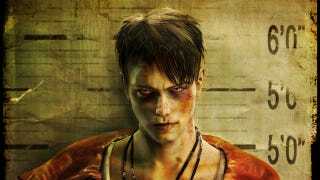 Not everyone is a fan of Ninja Theory's new take on Devil May Cry's cocksure antihero Dante. In fact, many longtime fans of the series are downright apoplectic. Ninja Theory doesn't appear to have let that get to them, though. In fact, they use this early-game easter egg to thumb their nose at critics. Spoilers in the video thumbnail! As uploaded by GamesHQMedia, here's Dante… well, rejecting his old look. Of course, some fans are mad about more than Dante's hair; they're upset about the game's reported lower difficulty and different overall tone.